Looking to explore some new and exotic flavours? Why not take a tour of some of the best destinations that are renowned for their culinary wonders through our five-star menus designed by our Executive Chef. 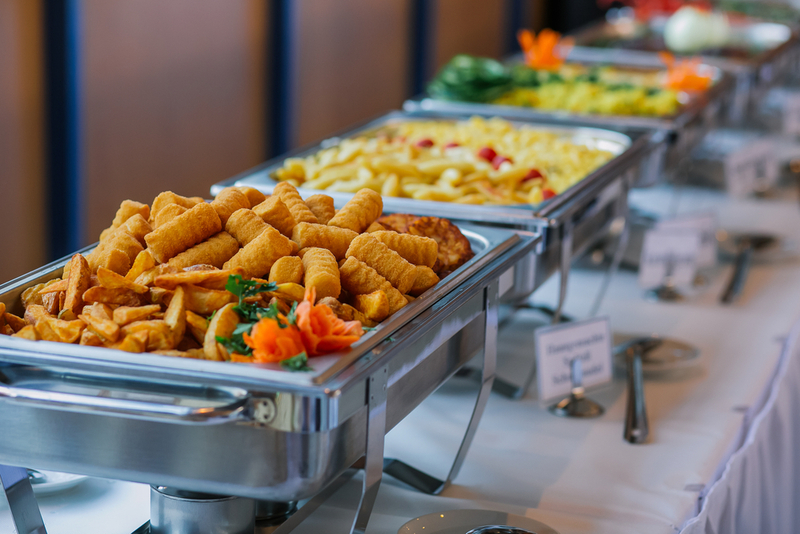 Whether you need a breakfast buffet for your corporate meeting or a lavish three-course meal for your wedding, our menus offer delectable food that takes you anywhere in the world, delivered right to your plate. Check out a few of our favourite diverse options that will deliver a quality culinary experience for any occasion. If you love the vibrant flavours of India, our fragrant and spicy Indian dishes are made hot and fresh and are guaranteed to impress. Enjoy our chef’s traditional vegetarian samosas served with tamarind sauce, followed by our delicious curried lentil soup and cucumber chickpea yogurt salad. For the main, enjoy tender, creamy butter chicken, freshly baked naan, lentil and spinach ragout, and cinnamon and cardamom-scented basmati rice. At Centurion Conference and Event Center, we offer a great selection of Italian food – now some of our most popular dishes. Items like our Italian antipasto platter are served with all your favourite meats – genoa salami, prosciutto, capicola, Calabrese, and cheeses. Our baked lasagne and eggplant vegetarian, or veal stuffed cannelloni and ricotta filled manicotti will make you feel like you’re sitting right in Nonna’s kitchen. You can enjoy all the flavours of Japan served fresh from our kitchen, too. Our Centurion Express Sushi Bar provides an excellent assortment of everyone’s favourite sushi rolls and Nigiri-Sushi, like California rolls, avocado rolls, and a wide variety of fresh seafood to taste. Of course, we serve each dish with Wasabi, sliced pickled ginger and soya sauce to top it all off. Our fresh tabbouleh and fattoush salads, pita platters, and our chef’s homemade Mediterranean platter will remind you of all your favourite European flavours. We even make our own hummus spread in house! There’s nothing more Canadian than turkey dinner and local prime rib beef. Let our chef delight you with our succulent whole roasted turkey along with cranberry sauce, a medley of fresh vegetables and roasted potatoes for dinner. This comes complete with rolls and gravy and your choice of pre-carved or ready-to-be-carved meat. Our Canadian raised Alberta prime rib is always cooked to your liking and is served with our melange of fresh seasonal vegetables and slow roasted potatoes with rolls, along with salad and our tasty apple crumble pie. Take your guests on an unforgettable journey during your next event. At Centurion Conference and Event Center, our award-winning team and Executive Chef serve up quality food that can bring bold and exotic flavours to your table, whether it’s at home or in our luxury facility. Contact us today to tour our space or to learn more about how we can assist and cater your next event.